As we all know, growing a baby loosens and shifts a lot of things in our bodies. After childbirth, almost half of all women experience urinary incontinence. For some, the problem goes away within a few weeks of giving birth. For others, it can continue for months, or become a long-term problem. The best treatment for stress incontinence is to make your pelvic floor muscles stronger by exercising them. I was aware of this fact, but after the first few weeks post-baby, after the midwives and health visitors stop calling round, the pelvic floor exercises tend to get lost in the melée of life. And this is where Lynsey come in. She is a specialist coach, for mums and mums-to-be. 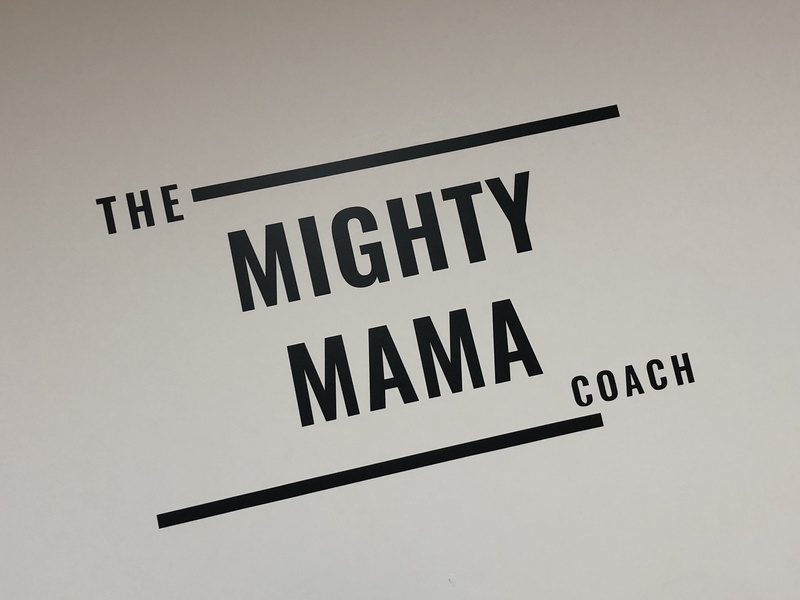 (Hence the name, the Mighty Mama Coach!) This is going to sound a bit weird, but Lynsey is exceptionally passionate about the pelvic floor. I mean, she’s passionate about helping women work out and feel better and you can tell that she loves her job. But yeah, she is passionate about the pelvic floor. Her pelvic floor rehab course is primarily for rebuilding the strength of the core and pelvic floor, helping women to get back to the exercise they did before pregnancy and childbirth. It is a 6 week course, and training sessions take place once a week in her Finnieston studio. The classes began by working on breathing techniques, posture and core exercises. All of which I was told to practise at home when I got the chance, which I did do. Especially the breathing techniques which I used (and still do automatically) when lifting the kids and shopping bags and furniture and everything else that needs lifting. 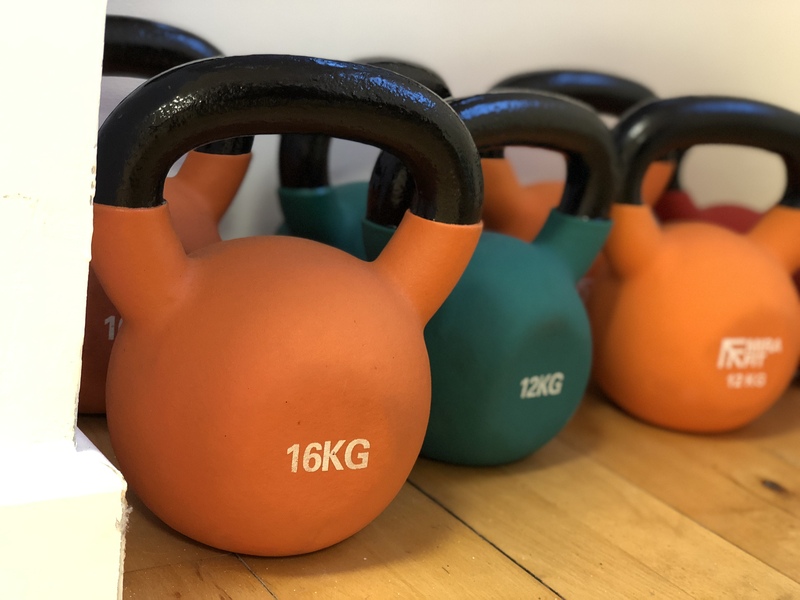 Using these techniques means that I’m not putting my pelvic floor at risk when I’m lifting stuff/small humans. The classes are once a week over a 6 week period. They do start slowly. Lynsey checked our diastasis recti (stomach muscle separation) to begin with. 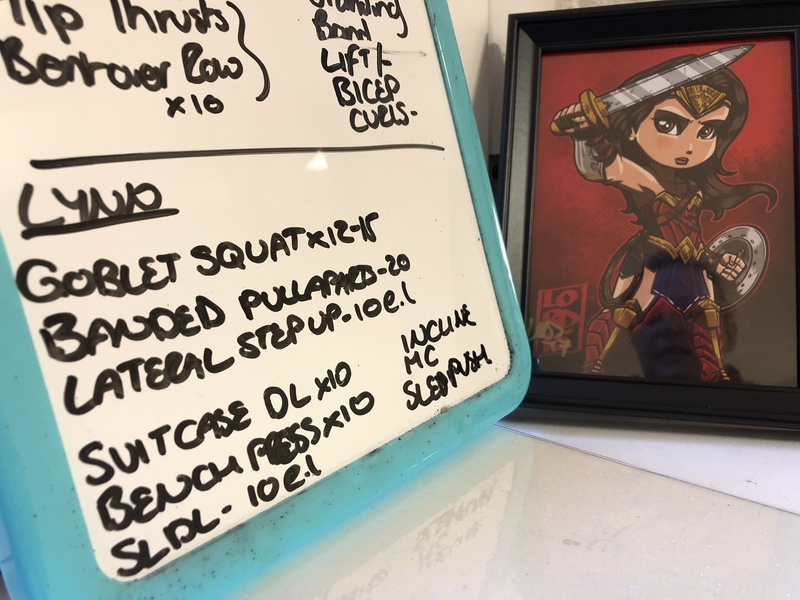 During the first few classes she was working out what level we were at so she could plan our future sessions. And throughout the course, but particularly at the beginning, she took care to ensure that we were doing exercises correctly using the correct technique and focusing on our pelvic floor during ALL the exercises. Over the next 5 weeks of the course Lynsey gradually built up the exercises we were doing week by week. After the first week she had a good idea of the levels we were at. Every subsequent week the class was adapted for each individual. They definitely got progressively more difficult, but nothing I couldn’t handle (though it did get sweaty). 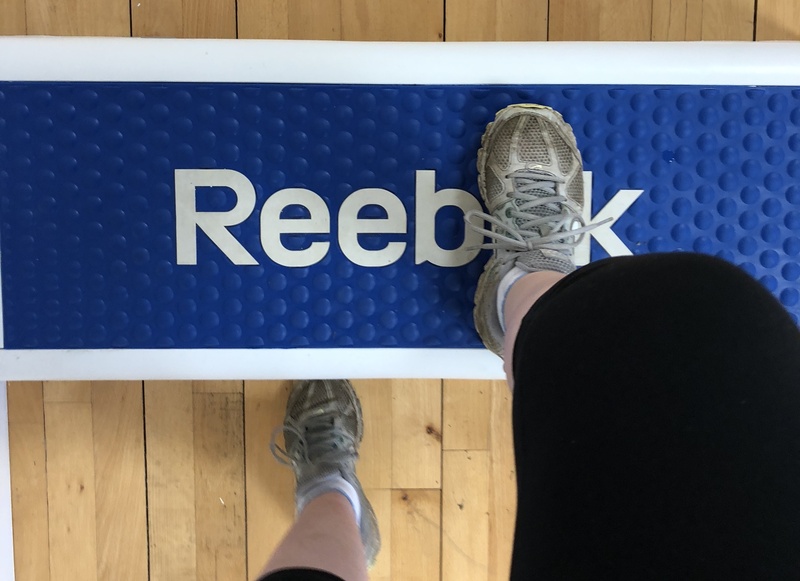 We used our own bodyweight, various types of weights and stretchy resistance bands, we did a bit of cardio using the step, and we also did some quite fun exercises using each other for resistance! At that point I think I just needed a bit more confidence in myself; in my strength and my ability to push myself a bit harder when I’m working out. Lynsey recognised this and within a few weeks my confidence had really increased. 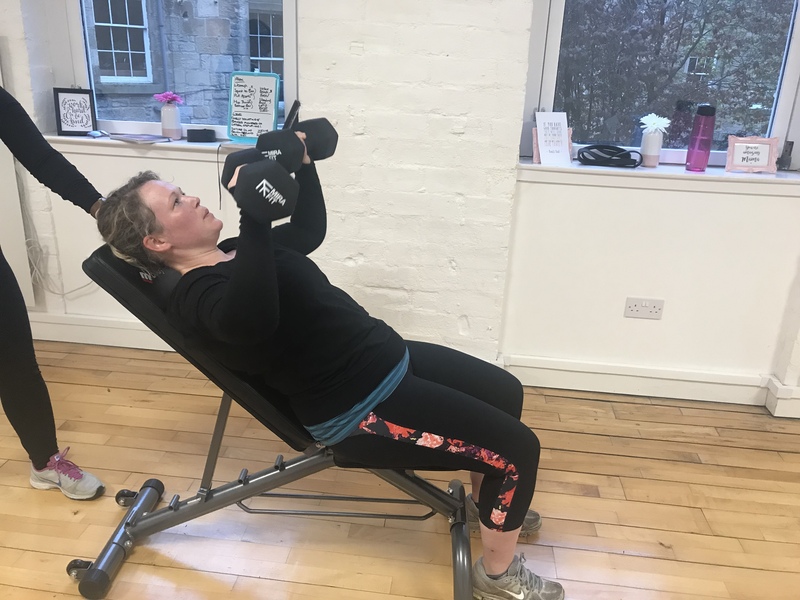 I felt much happier going along to the other classes I’d been doing, and it made me far more aware of how I use my pelvic floor everyday when I’m around the house or out and about, dealing with the kids, doing other exercise classes, or just doing whatever I’m doing on a daily basis. One of the best things about the classes is that you can take your kids along with you! Our classes were in the evening, so I didn’t have to. 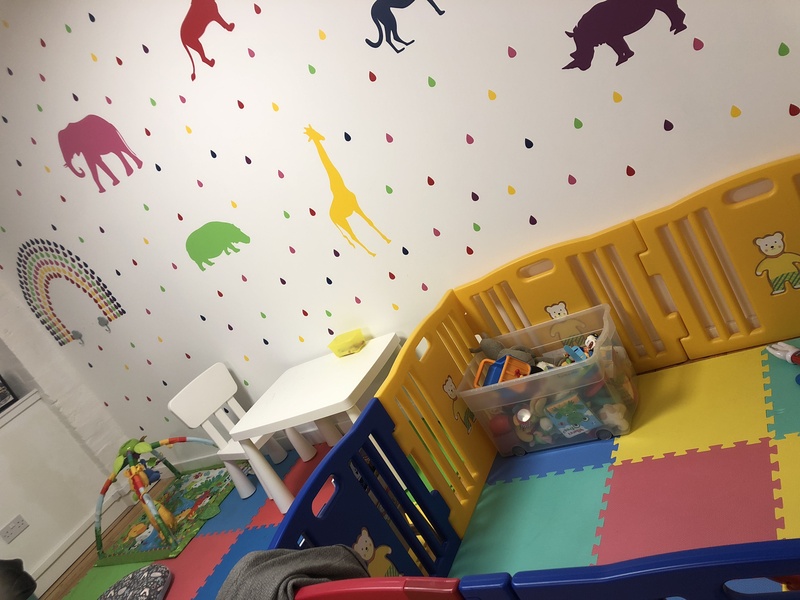 But there are toys and books and a little playpen/baby cage (depending on your perspective) for those on the move. There’s also a play mat and soft toys for the teeny tiny babies. When you take your kids along to any class there will more than likely be some interruptions. That is to be expected. And as a mum of 3, Lynsey is very aware that this has the potential to happen and will adjust classes accordingly. The cost for the 6 week Pelvic Rehab course is £120. This includes the 6 weekly pt classes in the studio, 4 mini-workouts at home, plus online support via the facebook group. I really enjoyed the training sessions with Lynsey. She is fun to work with and is incredibly knowledgable about post-natal bodies and issues. Although she pushes you to do what you’re capable of in a session, you know that you won’t be doing any damage to your pelvic floor or core in the process. 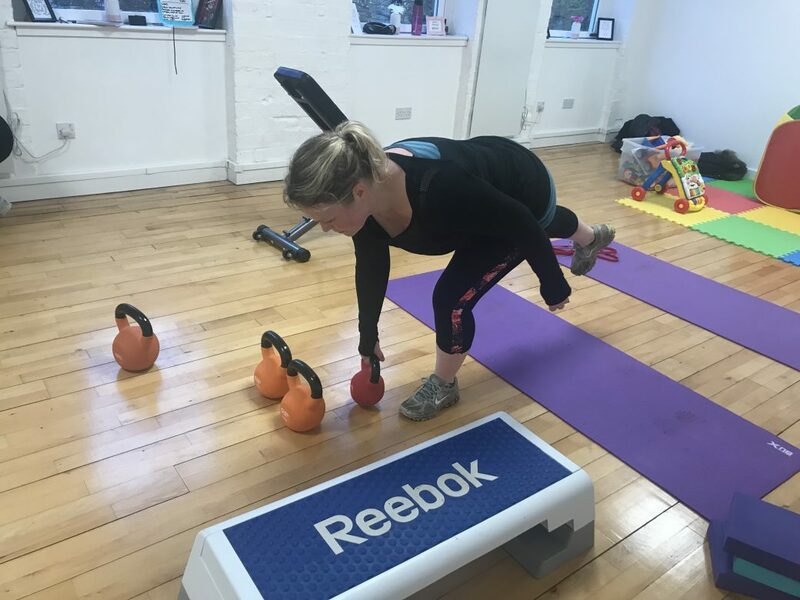 I would highly recommend the pelvic floor rehab classes to anyone who is thinking about getting back into exercise after having a baby! The Mighty Mama Hub is located in their lovely little studio in The Hive Building in Finnieston. You can contact Lynsey via the Mighty Mama website (or on their facebook/instagram pages).